Looking to use hiking poles as spreader bars for the Ridgerunner. I was thinking of the Mountainsmith Fx poles but they’re discontinued. Any suggestions? I don’t really want to spend 100$ on carbon fiber spreader bars. I was thinking that using the hiking poles would serve as dual purpose? 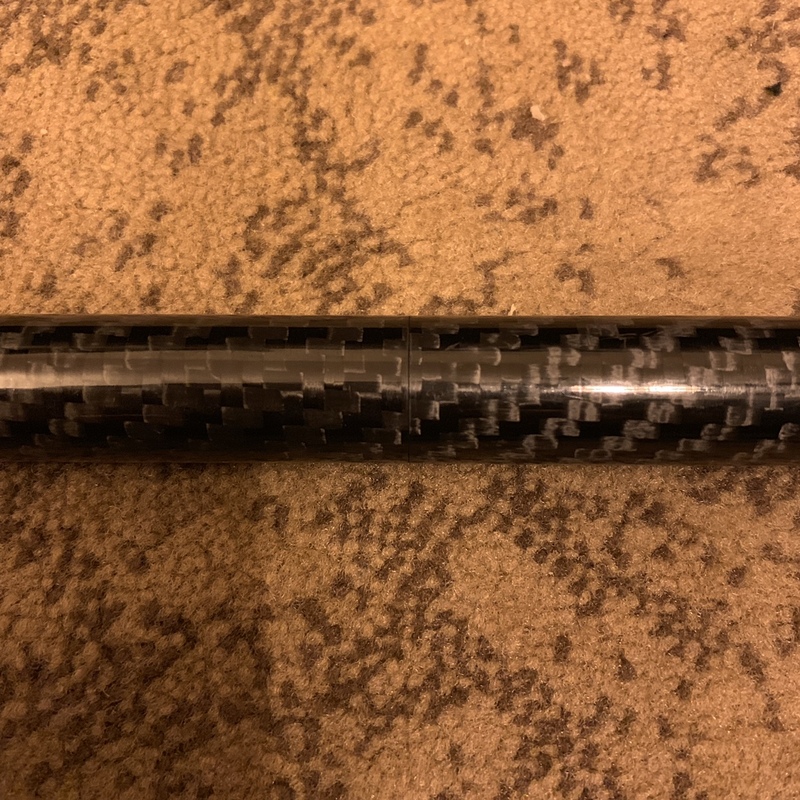 I have a set of carbon fiber spreader bars for the WBRR that I had Josh make for me. I asked him to make me ones that could convert into a long walking staff. It turned out amazing IMHO. They are size 710 poles. They split into four pieces in total. 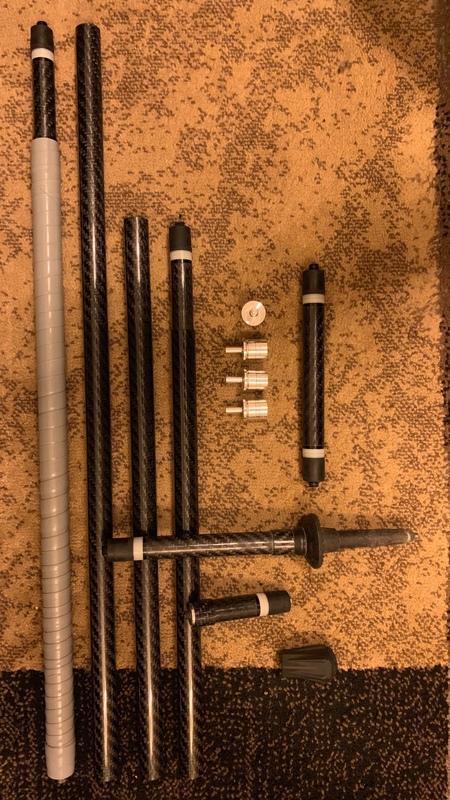 3 of those pieces can be connected together via locking ferrules to form a 5 foot long (chin height) super strong staff. You can even connect all four pieces, but it’s not a practical length at that point. I even asked him to make a piece to go on the top end in staff mode that has a standard camera mount bolt for using it as a selfie stick or monopod. That also turned out amazing. I wrapped the upper section with rubber tape for extra grip. There are more details worth explaining, but it would take a while. So let me know if you are interested. I am no longer using a WBRR hammock, yet I really enjoyed using it as a staff. So I am currently working with him on a new design that is more streamlined for someone who just wants a cool staff, but not one that doubles as a set of spreader bars. I don’t have pics of it at the moment, but here is me using it. The camera grip is attached on the first pic, so it is a few inches shorter when that is removed. If anyone is interested I have a pair of the aluminum tips that go on the end of trekking poles specifically for using with the WBRR. I used them with the Mountain Smiths and WBRR but both have been passed along for others to put to good use. How creative are you? There are ways to convert a trekking pole into a respectable spreader bar. The mountainsmith FX was cheap (and can still be found)... but at 10+ ounces per pole that never made sense to me really as a single pole is roughly as heavy as the spreader bar set itself. But I suppose it depends on what you are comparing to as there are several commonly used poles in the 8 ounce plus each range... so I suppose if you are carrying 16-22 ounces of poles already it seems like a good option. I developed a pole for my bridges that is manufactured by Ruta Locura that is screaming light at 9.75 ounces for the poles and conversion kit... but that's about $180. The poles themselves are a hair under 8 ounces for the pair so you are truly saving some weight with the swap. The key to something truly being dual purpose is that it does both jobs well. I have yet to meet a long distance hiker who hasn't broken a trekking pole. There are also several folks here who have broken a trekking pole when attempting a less than ideal spreader bar conversion. I also don't know many folks who are qualified to evaluate a pole for any damage that might have occurred on the trail during the day, or who want to take the time to do so every night. I find it very hard to universally say that a given trekking pole could easily be converted to a spreader bar without careful review. Grizz worked for some time on the gossamer gear poles and if I recall correctly discovered some issues with the tip itself failing... for very good reason. If you need a weak point, you want it to be the cheap and easy to replace tip... not the very expensive carbon shaft. Trekking poles often get stressed in unexpected ways in real world use. While that tweaked tip, or compromised flick lock may not impede your use as a trekking pole... it could produce very dramatic results when used as a spreader bar later that day. If a locking section snapped you could duct tape it up and still use the pole for balance, but not for a spreader bar. Of the two applications, the spreader bar function could easily cause a component to fail that otherwise might have held up okay during the day if it sustained some minor damage. What I did with mine was to convert a spreader bar into a trekking pole. So I'm not really relying on the other components to allow it to function. 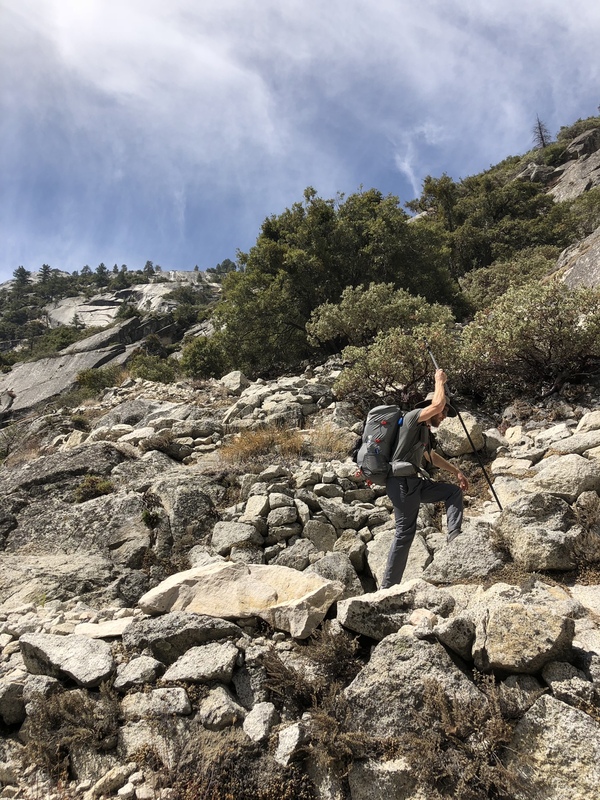 But it's virtually impossible to say if you've banged your aluminum pole, or nicked your carbon pole in some way along the trail that may compromise it. So even with my poles what most of us generally agree to do is use them for the foot end only and carry one spreader bar for the head end. If you're on a speed hike or FKT... yes you could go for it... but on more casual trips it doesn't seem worth the risk. This means you are meeting in the middle on practicality and weight savings. The head pole not only takes the most stress, but is also... wait for it... near your head. If you did nick that UL carbon shaft or stress fracture a pole on that tough fall... you may not find out it's shot until you lay down and load it in your bridge. Is it super likely? Probably not. But why push it. What is more likely to happen is you break a pole on the trail... then you're SOL in your bridge (or scrounging for a stick to build a spread bar basically). The second trekking pole doesn't need to 'go to waste' at camp though. Using it for a single pole mod to spread your tarp or for a pole to pitch your tarp in porch mode is a great system. So regardless of how you do it; I'd suggest keeping it balanced. Carry the head pole of your bridge (try your bridge that way and you'll find it's at least passable to use). But basically instead of 4 poles (2 bridge, 2 trekking) you reduce that to three poles. Two functional trekking poles you like, and the head bar from the bridge. If you break a trekking pole on the trail (or leave them behind as many do)... you still have a functional head spreader for the bridge. If you like a mono-pole system like Randy mentioned... you could easily potentially use that as your foot spreader too. If I recall- the RR uses a fairly short foot pole. For many two piece trekking poles you could potentially remove the lower shaft and make a conversion piece to use the lower shaft alone. I like this alot actually! I've always been fascinated with the idea of a staff conversion but didn't know how the locking mechanism would hold up. Zpacks has a staff but they way Joe holds it together is a bit janky in real life... but it's not really meant to come apart often as it's meant as a staff that is also used for a pyramid style shelter... so it doesn't really need to break down. So yes if you have a little time I'd like to see some more info. I can bug Josh about it's technical detaisl but I'm actually more interested in hearing how a bridge user viewed it in terms of practical real world use. I'm not a trekking pole user personally, but many of us who live in relatively flat areas find the poles annoying for the bulk of the walk. A staff or single pole though can often make more sense for this type of terrain. Very cool indeed It uses a twist lock mechanism. It compresses a piece of rubber vertically, which makes it bulge out inside the pole and locks it in place very securely. I tried the Zpacks staff before this and I liked the idea, but like you said, it leaves a LOT to be desired. I was already having an exchange with Josh about some CF spreaders and thought why not make something better. I have a lot to say about it, so I’ll go more in depth with proper pics when I get a chance. I found that it was nice to have one hand free and it was still effective to use two hands some times for the big steps up or down. The extra length was especially great for the big down steps. I am very skilled at using two poles to actually push myself forward at a pace that is much quicker than walking without them. It’s a technique that I hardly ever see done properly out on the trail. It works best on level terrain, but can work on slight slopes too. I mention this because the only disadvantage I can think of, is that I can’t quite get up to the same speed with just one stick, but I can still indeed use the same technique with this staff to boost my speed some. I just switch hands from time to time to balance the workout. The locking ferrules are secure. I have never been concerned about them failing on me in staff mode. They can be a little difficult to unlock in cold and/or wet conditions, but a little practice and patience will get er done. It’s more of an issue for the trekking tip and camera mount tip simply because of the small surface area available for gripping. My next design for Josh is to make the tips a little longer to improve this. The spreader bar tips are not are tight fit. It’s certainly not a sloppy fit, but if you tilt the pole down from level, the tip will slide out. Once you have the spreader bar in it’s place on the hammock, it’s not going anywhere, but there is a potential for them to fall off on you during installation and it’s just a nuisance that could be improved with a tighter fit. It’s a 710 size pole, so it is skinnier than the Zpacks staff. It seems like a good size for a staff to me. As for length, I think you should go for around chin height. Any higher starts to get in the way of your vision and doesn’t make for a good monopod for your camera. This set can be configured to be about 60", 57”, or 55” long depending on which of the sections you use. Remember that only 3 of the 4 sections are needed to make a sufficiently long staff. If you want, it can extend to a whopping 73” long though! Great for an epically long selfie stick or for getting your camera into far reaching places and it is strong enough for the task. If you need a shorter staff for more technical terrain or some scrambling, you can reconfigure it to a length of 39” or 44”. The longest single piece is about 21.5”. Two of the ferrules are glued to a section of pole, so that limits you from creating a few more various lengths out of the pieces. 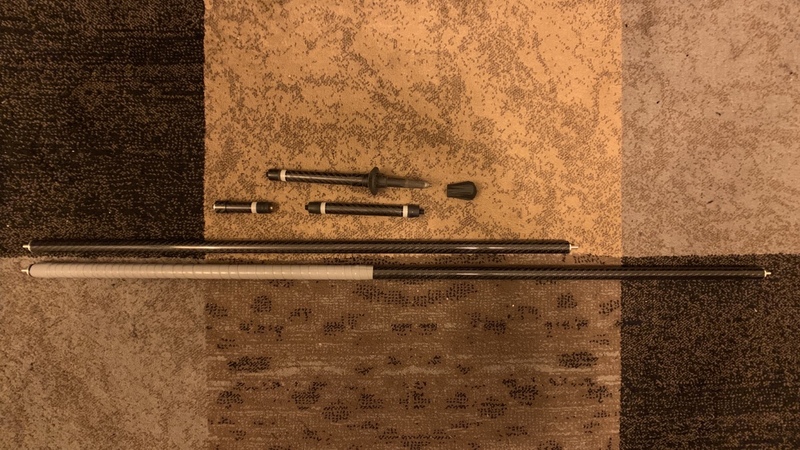 This is to be sure the ferrules uses in spreader bar mode are placed evenly within the two sections it connects and it ensures that when you dismantle it, the two long sections and the two short sections are equal lengths. Last edited by HandyRandy; 02-12-2019 at 00:57. Thanks Randy for taking the time! Great example of why I love working with Josh... always a creative but practical solution backed up by solid craftsmanship. 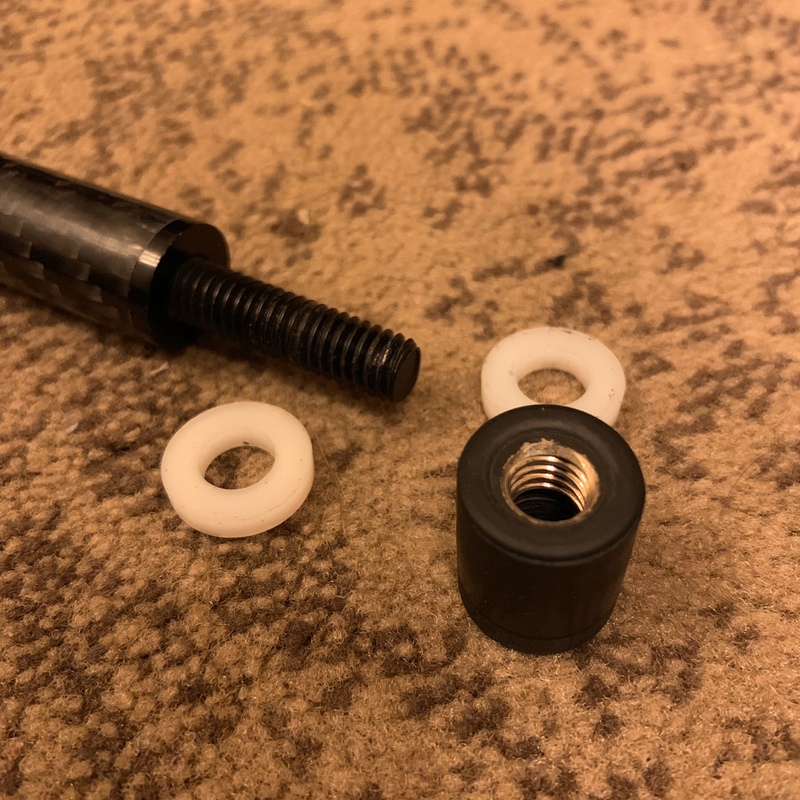 Putting the expansion plug into the ferrule is the answer to the problem with the idea I hadn't quite worked out to ask; Great work by Josh! Seeing it... it immediately makes sense to me why they feel so solid to you. He has his ferrule construction down and with the plug there it only reinforces an already solid system. 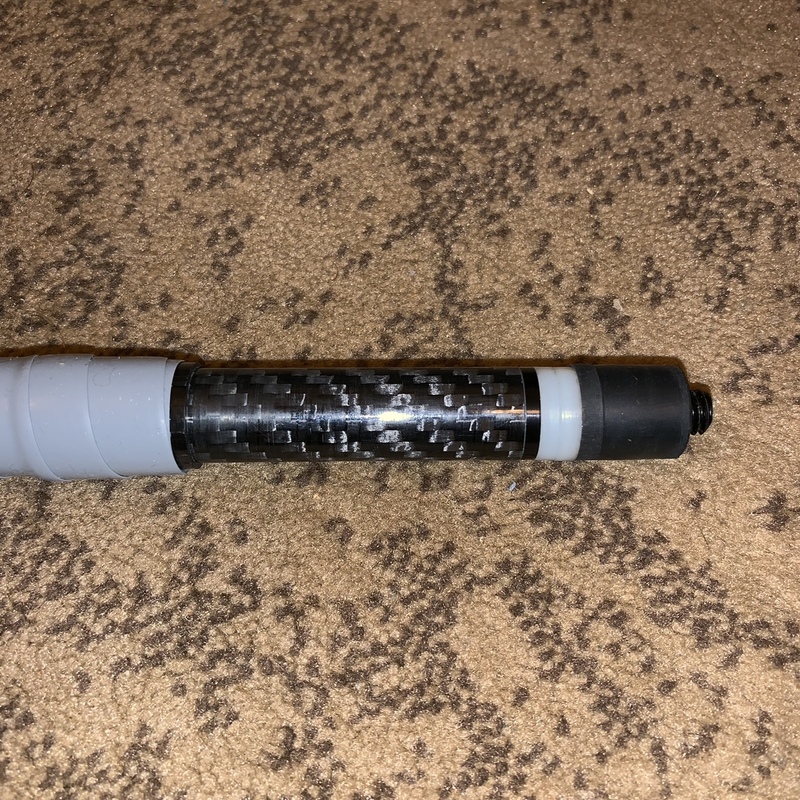 I'm not as interested in the monopod aspect personally, however the way Josh sorted out the trekking pole tip addition would allow a modular system to be used to fit a user's needs on either end of the staff. Since it wouldn't need to be structural I could see several different adapters being possible. 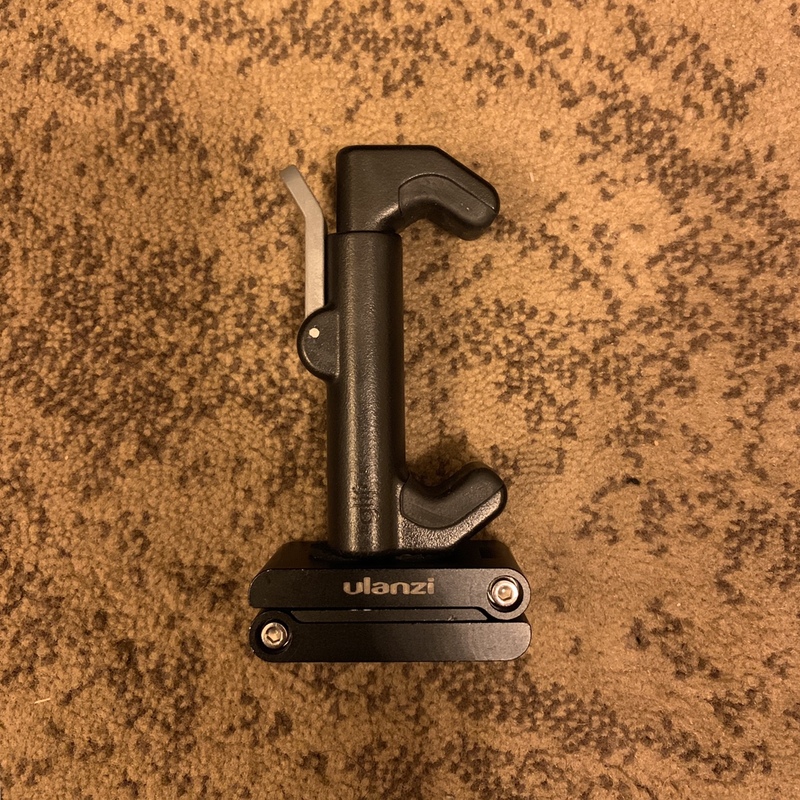 Simply organizing the open end as he has it setup that "plug in" you're using could really be anything you need from camera mounts to other adapters. As an aside- in the flat lands it can be handy to have a hook or clip for water collection so you can dip for water with your staff a few feet off the bank without having to wade in or collect too much crud. A staff with a hook helps with a good PCT style bear bag hang as well. Is simply having him drill a small hole into the tip of the spreader bar fittings. You could then simply tie these to the suspension of my bridges, or in the case of the RR with hardware use a small split ring to retain the tips. This means that the bridge adapters are attached to the bridge itself. My biggest issue with some of our early collaborations was that the adapter pieces were too small initially (and ridiculously easy to lose since they were black). However now that I have something decent sized I'm happy with I don't see a reason it shouldn't just be attached to the bridge as that's the only time you need it. That would eliminate the issues with the tips slipping out on your staff, or with misplacing them for either option. 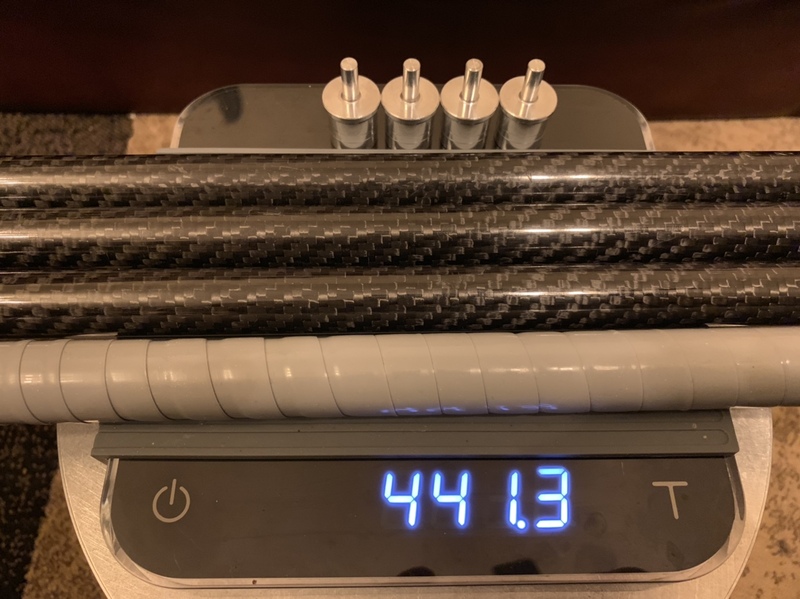 I recently got some .910 poles for the Mountain Hanger prototype... but that's a bit of a coinflip on your personal hand size if the .710 or .910 fits your hand better. For my needs (or more accurately my bigger customers needs) the .910 might be a sturdier staff, but I agree for your size the .710 is plenty and has tested well as the head pole in my Luxury bridges. The expansion plugs do have a learning curve... especially the little ones in my trekking pole set. But a few spare parts are nothing to carry and it's such a dead simple system that it's worth it I think. 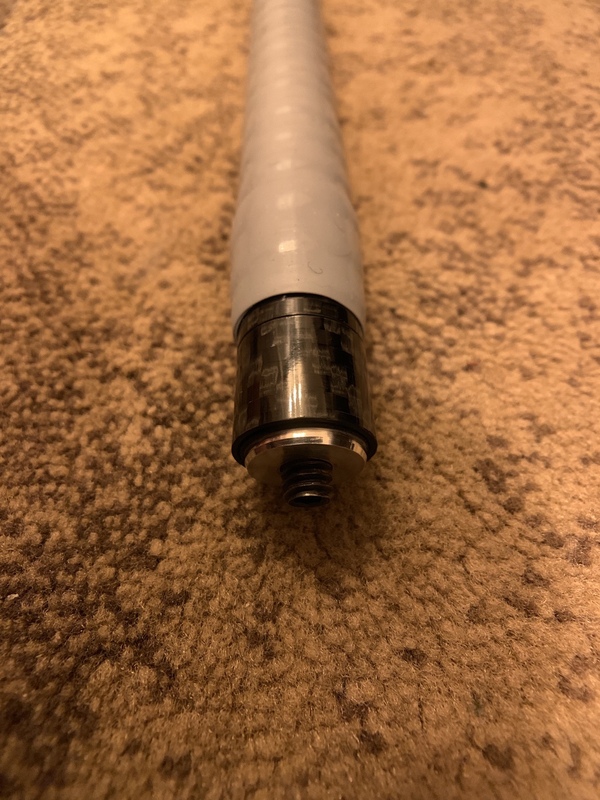 I find a staff nice for brushy areas and off trail walking where a flick lock of some sort can snag or snap loose... the internal plug has no such issue. A tip I have heard from others for winter use is to lightly roll/coat these with a little ski wax to improve the initial grip to get them going. I've found at times I need to manually reset them when they are not catching. So not a perfect solution but nothing is. Lots of potential here overall I think. Especially for some of my big guy customers. Kudos to you and Josh! I'm a bit old school on trekking poles overall being a once fit and invincible 20 year old speed hiker who thought they were silly. But as 40 year old I'm warming to the idea, lol. I am familiar with that two pole speed hiking technique, though I personally never got into it. I found it an interesting use of the gear and a style that seemed to develop for those of you a bit younger than me who 'grew up' with access to trekking poles. IT was very hard for me to 'unlearn' my style so I never got hooked into it the way others have... but done right it's a smoother technique than many appreciate. 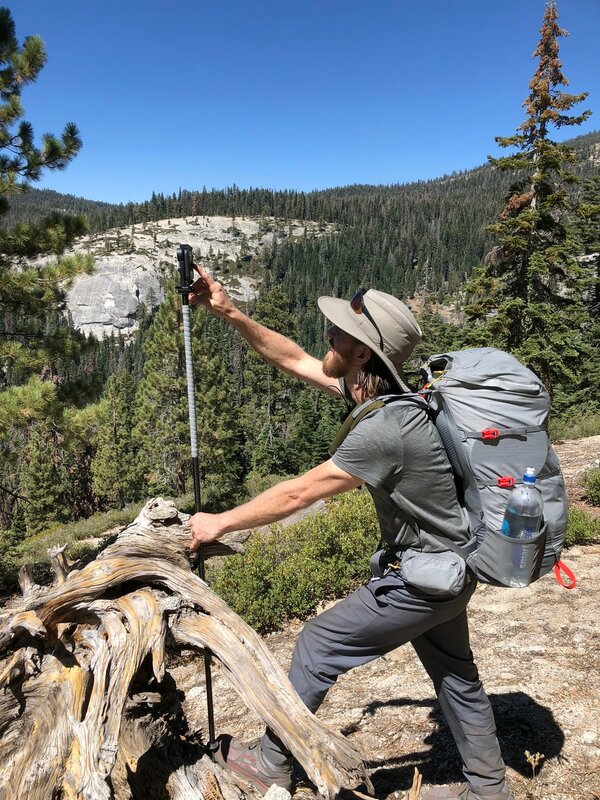 For other trekking pole challenged hikers like me- I find the staff a bit easier to switch back and forth between use or no use as it's balanced better than the trekking poles... but at the end of the day having options/solutions is the name of the game in my opinion. There is more than one trail out there and different stuff works better in different terrain or even on each style of trip you may take. Just an FYI to those that may be interested. I have just sold this to a forum member. Your idea of tethering the spreader tips to the hammock sounds like a big improvement! I learned how to use the poles by reading all the guides and tips found on the PacerPole website. Lots of useful info there. There are several pages throughout the website, so be sure to check them all out if interested. The techniques are applicable to any kind of pole. I agree that there are many more ideas worth testing in this space and many have crossed my mind while using it out on the trail. Any one shock corded their Warbonnet Ridgerunner spreader bars? Trekking Poles for spreader bars? Warbonnet Ridgerunner - Best trekking poles with flicklock to use as spreader bars?